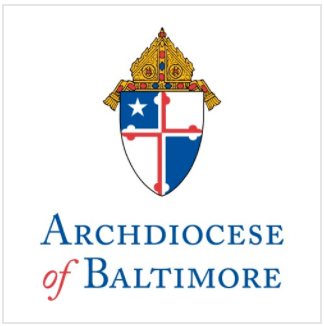 Archbishop Edwin O’Brien, Archbishop of Baltimore, announced today that Archbishop William D. Borders, 13th Archbishop of Baltimore, died this morning at 10:03 at Stella Maris in Timonium. He was 96 years old. “Archbishop Borders was a man of deep faith, great humility and great love for God, the Church and this Archdiocese,” Archbishop O’Brien said. “As a result, he was universally loved by the people of this local Church, by his brother bishops and priests, and by all who were blessed to call him Archbishop, Father, teacher, brother and friend. “By any measure William Donald Borders served an extraordinary life. From the very date of his birth on October 9, 1913 in the middle of a flood so fierce it lifted his family home off its foundation and the doctor had to be transported to the home by boat, to his chaplaincy service during World War II in North Africa and Italy, which earned him the Bronze Star for Valor, the Archbishop’s quiet strength would guide him throughout his life of service. “That strength would be called on throughout his tenure as the first-ever Bishop of Orlando and eventually the 13th Archbishop of the oldest Catholic diocese in the Nation, as he was forced to tackle a number of pressing issues, including the desegregation of public schools, housing for the poor, and the role of the laity in the Church. “Ever the teacher, the Archbishop would guide the faithful on these and other issues with his prolific writings, many of which remain relevant today and serve as guides for Church leaders throughout the United States. Archbishop Borders served as Archbishop of Baltimore from 1974-1989. Prior to leading the oldest Catholic diocese he led the newest, serving as the first Bishop of the Diocese of Orlando from 1968-1974. He was the fourth-oldest living Catholic bishop in the United States at the time of his death and the longest-surviving of the (arch) bishops of the Archdiocese of Baltimore. Arrangements have not yet been finalized. A data disk with B-roll is being uploaded to a video sharing site and will be available early this afternoon. Stations needing B-roll prior to that can pick up a disk at BlueRock Productions at 4226 Amos Ave. Baltimore, MD 21215. Archbishop O’Brien will formally make the announcement at a brief press conference at 2pm today at the Catholic Center, 320 Cathedral Street.